The High School Equivalency Test (HiSET) is a new way for people who didn’t finish high school to earn a diploma and get on track for college or a career. Test takers can choose to take the exam using a computer, or with pencil and paper. The exam has five parts: Math, Science, English, Social Studies, and Writing. All sections are multiple-choice, (40 – 50 questions) and the Writing section also requires test takers to write an essay. The HiSET test lasts several hours, and is not easy to pass. It’s important to be thoroughly prepared for the exam on test day. Mometrix Academy provides a large number of free HiSET test videos you can use to get ready for the exam. Take advantage of them to maximize your score! Mometrix Academy is a completely free resource provided by Mometrix Test Preparation. If you find benefit from our efforts here, check out our premium quality HiSET study guide to take your studying to the next level. 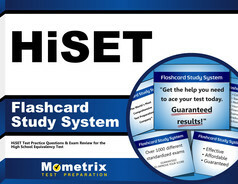 Just click the HiSET study guide link below. Your purchase also helps us make even more great, free content for test-takers. The HiSET (otherwise known as the ETS High School Equivalency Test) is a standardized test released in the year 2014. It was created by the ITP (Iowa Testing Programs) and ETS (Educational Testing Service). The HiSET is equal to the GED. Like the GED, the HiSET is meant to help people who failed to graduate from high school and would like to earn their diploma. The ETS and ITP formatted the HiSET to fit the requirements of the OVAE and CCR Standards for Adult Education. It is 100 percent meant to evaluate your readiness for a professional or academic environment and tell you where you excel and where you still need to improve. The HiSET originally spawned as a response to the GED. When the GED’s newest edition released, questions subsequently arose as to how helpful it would be to its target demographic. The HiSET was created alongside another test, the TASC, as a substitute for the GED. However, neither test possesses the same reach as the GED. Furthermore, while the GED is offered in every part of the United States, the HiSET is currently only offered in 12 states total: Wyoming, California, Tennessee, Iowa, New Jersey, Louisiana, New Hampshire, Maine, Nevada, Massachusetts, Montana, and Missouri. This limited availability is subject to change as the HiSET gains traction. The official HiSET website outlines an assortment of benefits it has that the GED does not. The HiSET boasts much lower costs in comparison to the GED, as well as a wider range of exam centers to choose from. The HiSET also includes more accommodations for its takers, including disability assistance and multilingual formats. If need be, you can request sign language translation, extra time for either breaks in between testing intervals or for test completion, a private testing room, and much more. The HiSET is designed to give its takers the best chances for success, even beyond disability accommodations. For every user, the test provides two free chances to retest within the first year of taking the test, as well as test preparation materials. All of this is included with the test’s battery upon purchase. According to the ETS, up to 60 percent of today’s twelfth graders could easily pass the HiSET after taking it only once. We believe that, with enough preparation, you will be able to pass this exam. Quickest HiSET Test Review Tips – How to PASS! The HiSET is made up of six distinct sections: Social Studies, Language Arts (Writing and Reading), Science, and Mathematics. Each test has its own time limit and requirements. However, none of the material you will find on the test goes beyond what the average high school senior would be expected to know. Knowing this will make it easier to prepare. We will cover each portion of the test below, giving you further information on what you’ll most likely find within each part. The Social Studies portion of the HiSET consists of 50 questions, all of which are written in multiple choice format. Its objective is to evaluate how well you comprehend a wide variety of Social Studies-related materials, including primary sources and graphics relating to economics, history, geography, political science, anthropology, psychology, and much more. Test takers will be expected to know how to infer based on source materials, how to differentiate between subjective and objective information, and assess how trustworthy a piece of given information is. You will have 70 minutes to complete this section. The Writing portion of the HiSET spans 120 minutes in length and comes in two distinct parts. One section of the test is comprised of a single prompt, with which you are expected to compose an essay. You are allowed to write your essay in either Spanish or English, depending on which language you’re most comfortable with. The other section of the Writing portion is multiple choice and, like the Social Studies portion, 50 questions in length. It is meant to assess how well you can evaluate the writing of others for grammatical errors. Each question poses as writing in need of proofreading, which you are responsible for providing through your answer choice. The HiSET’s reading section is shorter in comparison to the previous two at only 40 questions. You will receive 65 minutes to answer them all. This section is supposed to evaluate your reading comprehension skills by giving you an array of texts in various styles and tones that range between 400 and 600 words in length. The questions provided will ask you to decipher the given text. At 50 questions with a time limit of 80 minutes, the Science section of the HiSET gives you questions derived from an assortment of scientific subjects. You will find questions relating to astronomy, physics, human health, chemistry, and more. The goal of this portion is to assess your understanding of scientific materials, and does so by presenting you with scientific lab writings for you to survey. You will also be provided with graphical evidence, such as charts. You will be expected to know at least the basics of science—such as the scientific method—to properly answer the questions, as well as be able to make inferences. Much like the rest of the exam, the HiSET’s Mathematics section is 50 questions in length with an allotted time span of 90 minutes. Calculators are allowed for this portion and this portion only. Furthermore, you may use your calculator for as long as you wish. The questions given may either involve concrete mathematical skills, such as arithmetic, making estimates, or analyzing data; or more advanced applications of probability and algebra. Every question will have a lifelike basis for ease of understanding. How Is the HiSET Scored? The scoring for the HiSET is simplistic. Every question gives one point, which is added to your score with every right answer. Each multiple choice section gains you a maximum of 20 points, while the essay portion of the test nets only six points total. Your essays will be graded by humans rather than through automated programming, usually by a team of professionals. 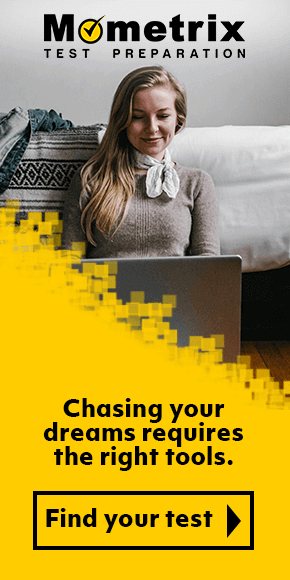 A passing grade qualifies as a minimum of 45 cumulative points on the multiple choice portion (with a minimum of eight points on each individual subsection) and two points for the essay portion. You will be able to see your scores anywhere between six and ten days for the essay portion of the test, and three and five business days after completing the multiple choice sections. Your HiSET scores are rendered accessible through your account on the test’s official website, meaning you will have to log in to see them. You will generally not receive them through other means, such as snail mail. However, if you cannot see your scores—be it due to lack of access to an Internet connection or other reasons—you are welcome to call the testing center from which your test was administered. They have the ability to retrieve your scores, regardless of whether you took the entire test at their site or just a portion. The same goes for if you are able to log into your HiSET account but lack the ability to see your scores. You have the option of contacting either the testing center. Additionally, if you would like for your scores to be mailed to any sort of organization, you can contact the ETS directly by calling 1-855-694-4738. When you receive your HiSET scores, you will find a pair of sets, both of which possess different meanings. The Individual Test Report is the secondary part of the HiSET’s scoring, and is generally much more informative about your skills. When you look at this section, you will find not only your scores for each individual section of the test, but also a full report accompanying the score. These reports will tell you whether or not you have passed that particular section and what this means with respect to how prepared you are for the workplace or higher education. When you view your HiSET scores, you will see your Comprehensive Score Report first and foremost. This report lists only the best scores you’ve received on each section of the HiSET, and synchronizes with any retakes you do. This score will generally be what you request to be sent off to your institution of choice. The Comprehensive Score Report will let you know not only whether you did well on the HiSET, but the number of sections you have completed to date. There’s no such thing as being too prepared for an exam, the HiSET being far from an exception. Luckily, there is a myriad of free preparation options at your disposal. 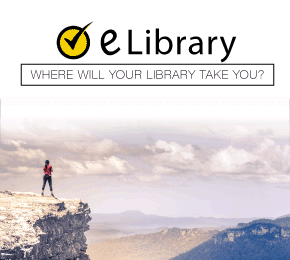 You can easily find sample questions, practice exams, study companion guides, and video guides online. 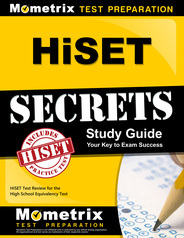 If you have a little money to spare, you can purchase The Mometrix Study Guide to the HiSET Exam, which will give you all of the information you need on how to prepare for and ace the test. It was written specially by the content specialists at Mometrix for HiSET-bound students, meaning the information found in the book is highly accurate. With this book, you will receive test exercises for each portion, two practice exams, and a guide to how the test works. Additionally, there are flashcards available, as well as the helpful video courses on Mometrix Academy. When it comes to preparing for the exam on your own, we have a few recommendations. Be sure to comprehend the scoring process and what will be on the test—as we have covered above. Get as much information as possible on what you need to know. You should at least be aware of the length of each portion of the test—both in terms of the number of questions and the time allotted to you; how to sign up for the test and how processing procedures generally unfold; the subjects featured on the test; and the formatting of the section you’ll be taking. This will give you a general idea of the best way to prepare. Be sure to pick a date that gives you as much time for studying as you need based upon your studying pace. The more time you have to study, the easier you’ll be able to retain information. Think about how familiar you are with the subjects that will be on the test. Depending on how recently you’ve worked with that particular subject, you may want to put extra effort into preparation. Remember to take your time and do not rush. Preparation is key to doing well on the exam. If you’ve done well on the test, congratulations! You can now begin making preparations for the next stage of your professional or academic development. If you didn’t do well, worry not. Retests are available to you—up to two within one year. You can sign up again to take the test you need, and—if you took the entire test the first time—your retest will be free. If you only took certain sections, you will need to pay $10 for those again. Regardless of where you are in the testing process, we at Mometrix Study Preparation are here for you and want to see you succeed. This is why we provide only the best study materials on our site. Feel free to browse through what we have to offer. Good luck and happy studying!